Mathew has been working in public education in Western Australia for 20 Years. 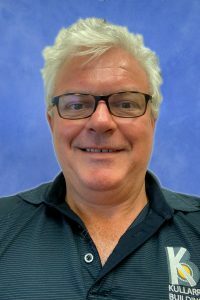 He brings experiences from a variety of contexts including leadership roles at Warnbro Community High School and Rossmoyne Senior High School, as well as a variety of portfolios and acting Principal-ships at Atwell College, Como Secondary College and Fremantle College. 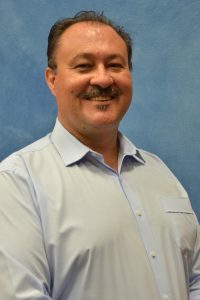 Mathew is committed to education in Broome with vested interest having a wife teaching English and a daughter at Broome Senior High School and a son currently at Broome North Primary School. As the leader of Broome Senior High School Mathew understands the school’s role in the community and the importance of the cluster, as with strong schools we build a strong community. Bethany has been teaching at Broome Senior High School for five years. 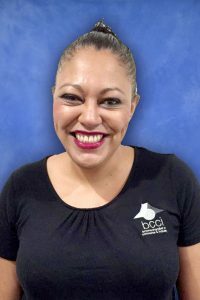 She has worked in Student Services as a Year Leader and is a specialist teacher in Dance, Health and Physical Education. Bethany is currently on maternity leave until May 2019 but has joined the School Board to ensure she can continue to have an active role in school processes, as well as provide a teachers voice to compliment the thoughts of the other members. Bethany loves working at Broome Senior High School. She says the staff are very supportive of one another and are heavily vested in the achievement of all students enrolled at the school. She even goes as far as to say it is the best school in the Kimberley, if not the world! Shane was raised in Perth and has been involved in Public Education for just over 12 years. 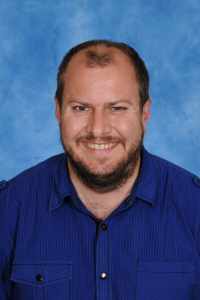 Having cut his teeth as a teacher at Carnarvon Senior High School (now Carnarvon Community College), Shane has been at Broome Senior High School since 2016 and specializes in Mathematics. 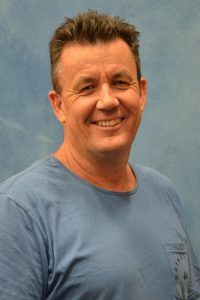 Shane thoroughly enjoys teaching in Broome due to the tremendous support structures in place at the school and the facilities available in the Kimberley. Shane possesses a tremendous want to see students succeed and believes students can approach him at any time during the school day in their quest to be the best they can be. 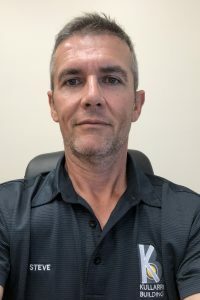 He is currently part of the Positive Behaviour Support Committee and the Aboriginal Education team at the school and feels both are highly beneficial to the relationships he builds with the students. For over 35 years Elisabeth has worked in the advertising and media industries, in agencies, and as a consultant. 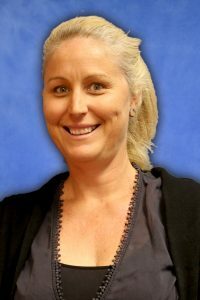 In 1992 she moved to Broome, where she held the role of Kimberley Regional Manager for GWN7 for 19 years. She has been involved in the delivery of major cultural and community events, as well as dealing with businesses, government and community entities across the region. A Kimberley Development Commission scholarship enabled her to complete the Australian Institute of Company Directors’ course several years ago. Elisabeth is parent to two children, both of whom are happily attending Broome Senior High School. 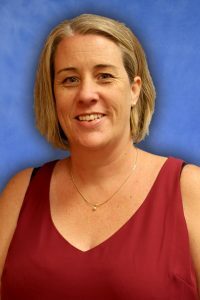 She also serves on the Board of the Broome Chamber of Commerce & Industry, is a Justice of the Peace and is also involved in the strategic growth and delivery of the annual Careers Expo, hosted by Broome SHS in May each year. Jeffrey has lived in the Kimberley for 23 years and is the general manager at Kullarri Building Pty Ltd, which is a Nirrumbuk Aboriginal Corporation business. He has two school-aged children of which one is now attending Broome Senior High School. With a strong interest in contributing to the local community, and after completing a three-year term on the Cable Beach Primary School Board, Jeffrey is keen to now contribute to the Broome Senior High School board. Jeffrey is a keen golfer and also enjoys cycling in his spare time. Ashley started visiting the Kimberley in 1987 and fell in Iove with the people, the rich culture and magnificent landscapes. Her family moved to Broome permanently in 2008. She has a daughter in Year 9 at Broome Senior and a son in year 7. Ashley is passionate about public education and contributing to the educational and life outcomes for Kimberley kids. She believes that having a high performing school that offers our children every opportunity to excel in life whilst also fostering care and respect for others can only enrich our families, our community and our future generations. Professionally Ashley has worked in the public health system for more than 30 years and has 20 years’ experience in middle and senior management and is also a small business owner. She is active in the community supporting a number of not-for-profit organisations and has been the president of Broome Primary P&C. For the past 2 years, she has also held a position on the board of Broome Primary School. Stephen is a Broome resident of 19 years, has two children at Broome Senior High School and is keen to contribute to the school in any way possible. He works in the construction industry as a project manager for a local builder, where they actively promote the training and development of aspiring tradespeople, through apprenticeships and work placements. Stephen is also a small business owner with his wife in a Physiotherapy Clinic. In his spare time, Stephen enjoys sports and focuses on his fitness through distance running, cycling and golf. He also sits on the committee for the local Golf Club, which has provided him with the necessary insight into the proceedings of boards and committees. 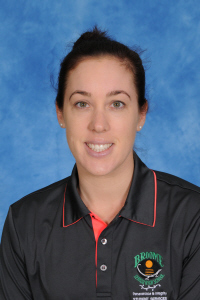 Amanda has been a Broome resident for the last 16 years and has her own Accounting and Bookkeeping business, APM Accounting Services, She has three children who have all attended Broome Primary School, and her oldest is in Year 7 at Broome SHS this year. Her youngest is in Year 4 at Broome Primary. Amanda was interested in joining the School Board to learn more about the school and hopefully be able to make a positive contribution to the school. Tracey has lived in Broome for about 10 years and has three handsome sons and one amazing daughter ranging in age from eight to 20 years. She has two children at Broome Senior High School this year. Tracey’s always been involved in various boards around Broome and enjoyed meeting like-minded people and getting to really know and understand what is happening in town. She has been so impressed with Broome Senior High School so far and is really looking forward to supporting the teachers and staff to continue doing the amazing work they do. Mel is an archaeologist and has lived in the west Kimberley for the past 15 years, with much of this time spent living in the small community of Bidan (Bedunburru) near the Fitzroy River. Mel works with Aboriginal rangers and communities in the Kimberley and Arnhem Land to look after cultural heritage sites. She supports numerous Aboriginal organisations with a range of associated activities, particularly the Kimberley Aboriginal Law and Culture Centre (KALACC). For the past four years, Mel has been based at Nulungu Research Institute at The University of Notre Dame Australia where she recently completed her PhD, and where she continues to conduct most of her research today. Mel married a Nyikina man from Derby and has four children, one of whom currently attends Broome Senior High School and the oldest is a recent graduate from 2017. Mel has supported her children through distance education for nine years with Kimberley School of the Air. 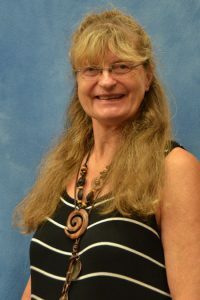 She also served on the school council for five years, was the President of the Isolated Children’s Parents Association for eight years, and has sat as a parent representative on the Broome Residential College board for two years. At the end of 2015, following in the footsteps of her eldest child, her younger children have now also started schooling in Broome. This move and two-hour long daily commutes illustrate Mel’s passionate commitment, to ensure all of her kids have access to the best education options available. Kevin has one child attending Broome SHS and two other children who have graduated from the school. His family have lived in Broome for 13 years and he has been a Police Officer for 26 years. Kevin is passionate about contributing to the ongoing development of the youth of the Kimberley. He believes that education is the key to individual and community success and feels that his life skills and experience will benefit the School Board, school and education of all Broome students. Bruce is of Asian and European heritage. He is a product of Maitland (NSW) and spent his formative years in Albury/Wodonga (NSW/Victoria). Apart from a short sabbatical in Fremantle, Bruce has lived in Broome since 1998. He holds a Bachelor of Arts (Hons) in Geography and Sociology from the University of Newcastle and a Master of Social Sciences (Environment and Planning) from RMIT University. Bruce is profoundly interested in the reflexive relationship between ‘Country’, people and the sustainability of cultural and natural landscapes. This interest has influenced his professional career journey over time. In 2017, Bruce was appointed to the role of Assistant Manager of the Community Development Unit at Nyamba Buru Yawuru Ltd. He is an enduring member of Environs Kimberley and Theatre Kimberley and has served on their respective boards; is a member of the Editorial Board for the Australian Studies Centre at the Universitat de Barcelona; holds professional memberships to the Institute of Australian Geographers, the Royal Geographical Society of NSW, the Planning Institute of Australia; and was admitted into the Golden Key International Honour Society in 2013. Bruce has two daughters who attend Broome SHS. 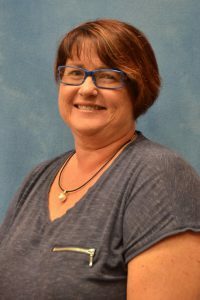 Broome Chamber of Commerce Chief Executive Officer, Elaine Jolliffe has spent all of her life in economic development, education and training within remote regions of Northern Australia, and has vast experience in regional communities. A parent of five, with her oldest at Broome Senior High School, Elaine is passionate about education, development and youth having the ability to be a part of Broome’s future economy. As a representative of the Broome Business Community, Elaine will enable collaboration with local business partners to achieve positive outcomes for Broome Senior High School. 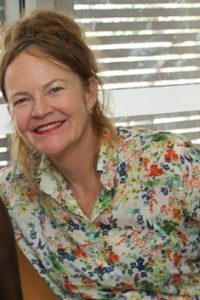 As North Regional TAFE’s Business and Community Development Manager for the Kimberley, Rebecca is heavily involved with the education system and in particular School Based Training, Aboriginal School Based Training, Apprenticeships, Traineeships and Vocational Education Training in Schools (VETiS). This is Rebecca’s first term as a community representative and she has thoroughly enjoyed her time on the board so far. As a parent of two daughters Rebecca believes it is vital to be proactively involved in a child’s education not only from a classroom, day-to-day, teaching approach but also from a whole facility approach including how best the educational community can work together to continue to strive in the provision of first rate educational services and infrastructure for the benefit of the students. Rebecca is also a member of the Shire of Broome Economic Development Advisory Committee through her role with North Regional TAFE. As a career public servant at Federal, State and Local Government levels locally, and interstate, Rebecca has developed a key network of contacts from which she can draw on a wealth of skills, experience and knowledge to the benefit of the school community. Rebecca believes cross-community relationships are extremely vital to the success of the school, School Board, its students and the education system.